Hong Kong's veteran crime filmmakers have come together to offer a new trilogy based on outstanding cases from the anti-corruption agency of Hong Kong, the first installment being screened for the upcoming Spring Festival. "Integrity" is the title of this first offering, written and directed by Alan Mak and produced by his long-time collaborator Felix Chong. The Chinese film community regards the duo's earlier work, the "Infernal Affairs" trilogy and "Overheard" trilogy, as among the all-time crime film classics. The new film focuses on a true case handled by Hong Kong's anti-corruption agency in 2003, involving the selling of smuggled cigarettes and the killing of a witness. "I always study various cases," Mak told China.org.cn, saying that he needed a group of actors that could handle the various roles in the film. With award-winning actors Sean Lau, Nick Cheung and Karena Lam taking the leading roles, Mak believed he had a group that had immersed themselves in the characters they were chosen to play, while Chong praised the way they had handled the challenge to their normal acting routines. After doing so many crime films, Chong felt calm and composed, saying that his first rule for such a film is to find out if a story is interesting and exciting, while Mak said productions should warn everyone not to commit crimes, "but I still feel that the change of human heart, sometimes is horrible." 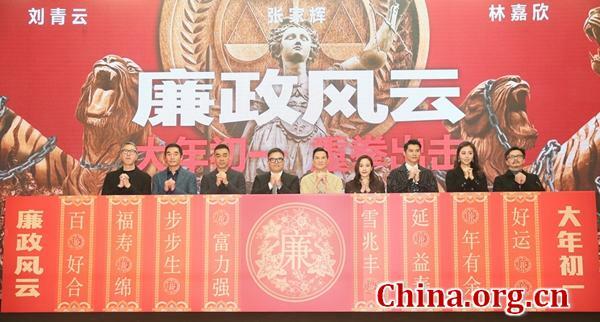 Besides "Integrity," Chong is also proud of "Project Gutenberg," his last crime blockbuster, grossing 1.27 billion yuan (US$188.79 million) and a dark horse success last year. However, the filmmaker revealed that he was ready to move into new areas with future film projects, with science fiction the genre he most wants to embrace. "Integrity" will open on Feb. 5, joining the frantic film season during the Spring Festival. 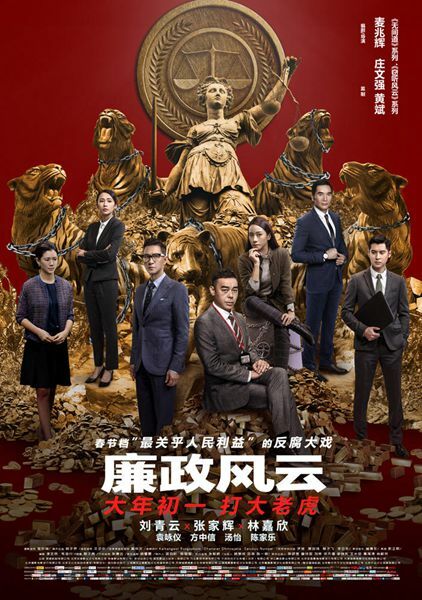 Another executive producer of the film, Ronald Wong, said if they found a proper subject based on the mainland's anti-corruption campaign, and the timing was right, they might take up the project in future.